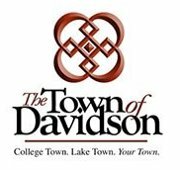 DAVIDSON, N.C. – North Mecklenburg and southern Iredell County are experiencing significant population growth. This trend is expected to continue through 2040. The transportation network, particularly North-South connectivity is inadequate for current conditions. In 2010, the Urban Land Institute completed a study that identified the need for north-south connectivity and recommended a new route which was titled the North-South Parkway. A second public open house was held on Thursday, April 11th from 6:00 p.m. – 8:00 p.m. at River Run Country Club. Attendees had an opportunity to view proposed scenarios for improved connectivity in the area and provide feedback on those scenarios. If you were unable to attend the second public open house, click here to watch a video about the project and click here to provide your input by Friday, April 26. Additional information is available online at northsouthparkway.org including the video and survey.